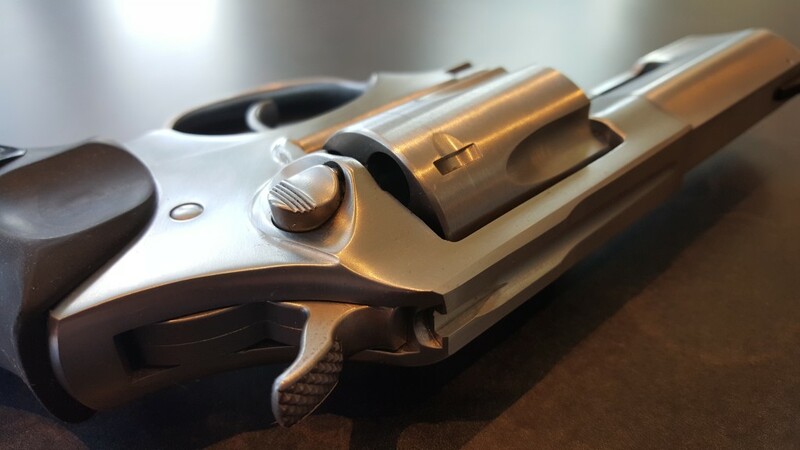 The Ruger SP101, .357 Magnum, 3″ Barrel. Equal parts sophistication and malice. Astute and Brutal. This one isn’t mine. Mine, is just like it, but it’s loaded and on my hip while I took the photos of this one. Those are my rounds though. I love Speed Strips. So much easier to carry than Speed Loaders. We discussed revolvers on ArmedAmericanRadio.com Daily Defense Hour. 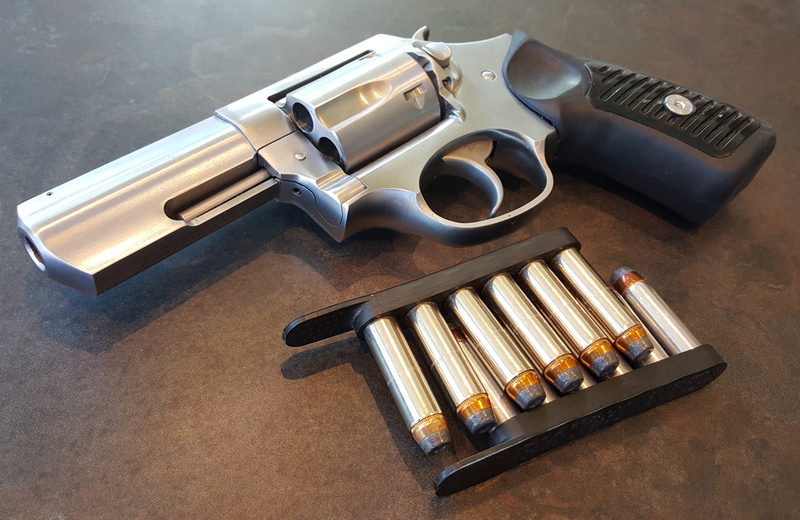 Packing a .357 Magnum is a luxury… an obscene display of power and glory, in a subtle little package of satin stainless malice. “Equal parts sophistication and malice. Astute and Brutal. Indeed, a truly mystic gathering of adjectives ! Damn, it *does* look good in those photos, especially photo #1. There’s enough steel in the underbarrel lug to make a knife. I like it. Took a while for the SP 101 to grow on me but at this point it has done so. I might have to see about acquiring one before long. George I love the sp101 but was thinking about the gp100 Wiley Clapp recently and was thinking about getting one. What are you thoughts on the gp100 and why did you choose the 3 inch sp over the 3 inch gp? The Wiley Clapp edition is great – essentially a Match Champion with a full lug. I love the Wiley Clapp SP101. 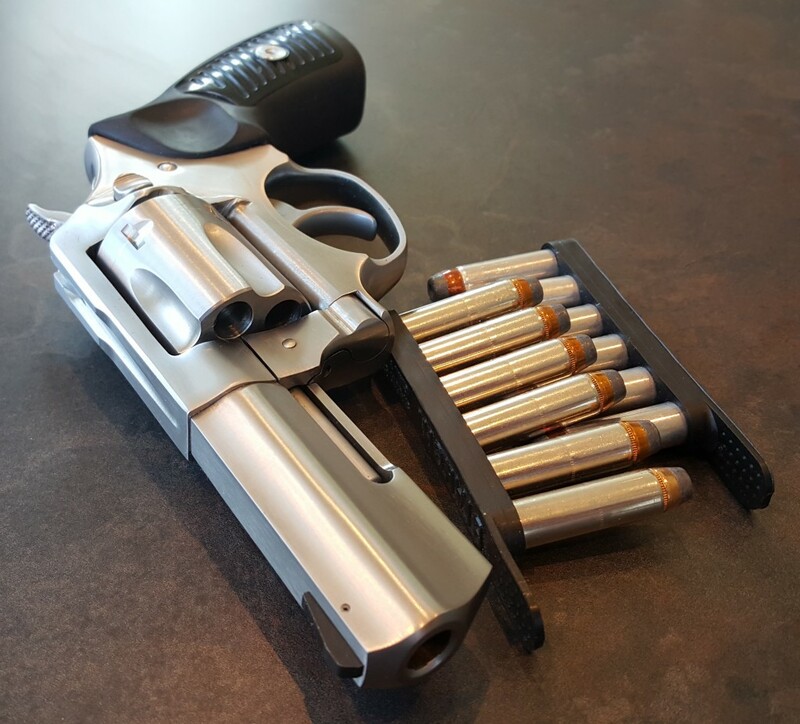 That was for the GP100… I wanted more energy from the full sized gun, but I still wanted – as John Taffin would say – a Perfect Packin Pistol. And I feel that a 4″ revolver is about ideal for this in .357. In .44 Special, 3″ is awesome… but you don’t give up 200 FPS on average. Now, for the SP101, I’m running the same loads, so it does lose energy… but that’s the compromise with concealment. The Wiley Clapp GP100 is a 3″ bbl, not a 4″bbl, it’s also bead blasted, rather than brushed stainless like the Match Champion. The Wiley Clapp SP101 is a 2.25″bbl, brushed finish.